Mazino is a responsive, multi-purpose WordPress theme. It’s flexible and suitable for adult blogs, tube sites, membership sites, tgp, gallery or portfolios. Customization is easy and straight-forward, with options provided that allow you to setup your site to perfectly fit your desired online presence. 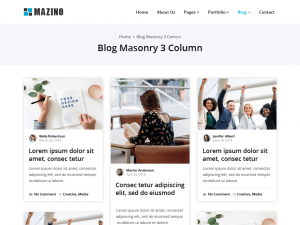 Mazino offers a beautifully designed masonry blog layout.